The key to produce better crops to meet the needs of the growing world's population may lie in combining the traditional knowledge of subsistence farmers of the Ethiopian highlands with plant genomics. Researchers in Italy and Ethiopia conducted research that demonstrates that the indigenous knowledge of traditional farmers, passed on from one generation to the next since hundreds of years, can be measured in a quantitative way and used with advanced genomic and statistical methods to identify genes responsible for farmers' preference of wheat. The livelihood of hundreds of millions of people living in smallholder farming systems depends on the products they obtain from marginal fields. Smallholder farmers are very knowledgeable in what they grow, because they must be efficient in selecting the crop varieties that will ensure the subsistence of their household. With an innovative approach overturning the classical scheme of modern plant breeding, the authors of this research developed a method to extract the traditional knowledge from smallholder farmers' and to use it to inform modern, genomic-driven breeding. The result of this original research, conducted by scientists from the Institute of Life Sciences of Scuola Superiore Sant'Anna in Pisa and from Bioversity International, and participated by the University of Bologna, the Amhara Agricultural Research Center, and the Mekelle Univeristy in Ethiopia, was published in Frontiers in Plant Science. Researches worked with 60 farmers from two smallholder farming communities in the Ethiopian highlands. For two straight weeks, farmers evaluated 400 wheat varieties for traits of their interest side by side with geneticists measuring agronomic traits on the same plots. 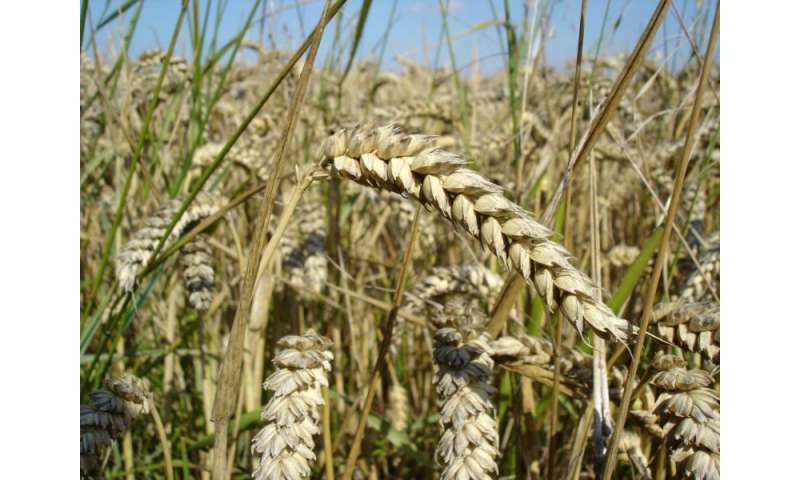 The evaluation provided more than 200 thousands data points, that the researchers related to 30 million molecular data deriving from the genomic characterization of the wheat varieties. This approach allowed to identify for the first time genomic regions responding to smallholder farmers' traditional knowledge, demonstrating that farmers may identify genomic regions relevant for breeding that exceeds those identified by classic metric measurements of traits alone. "This study is a milestone in modern crop breeding" says Matteo Dell'Acqua, geneticist at the Scuola Sant'Anna and coordinator of the research "as it is the first in demonstrating that the traditional knowledge of smallholder farmers has a genetic basis that can be extracted with methods already available to the scientific community. These farmers can teach us how to produce crop varieties adapted to local agriculture, fighting food insecurity in farming systems most exposed to climate change"